Mercado Wood Guest Chair. 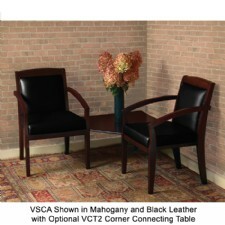 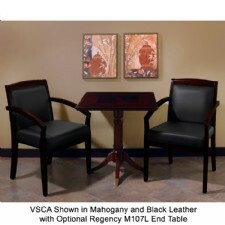 Stylish designs of solid wood and genuine leather beautify any private office or reception area. 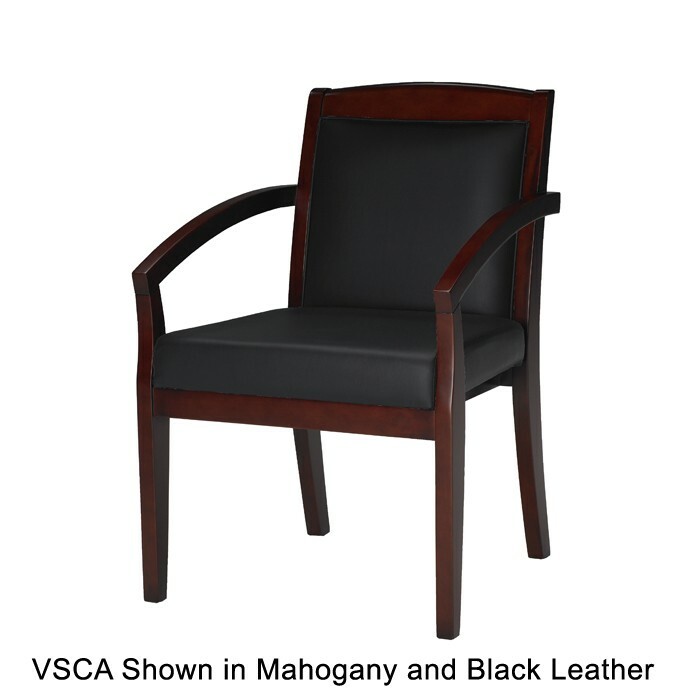 Fully assembled wood frame. 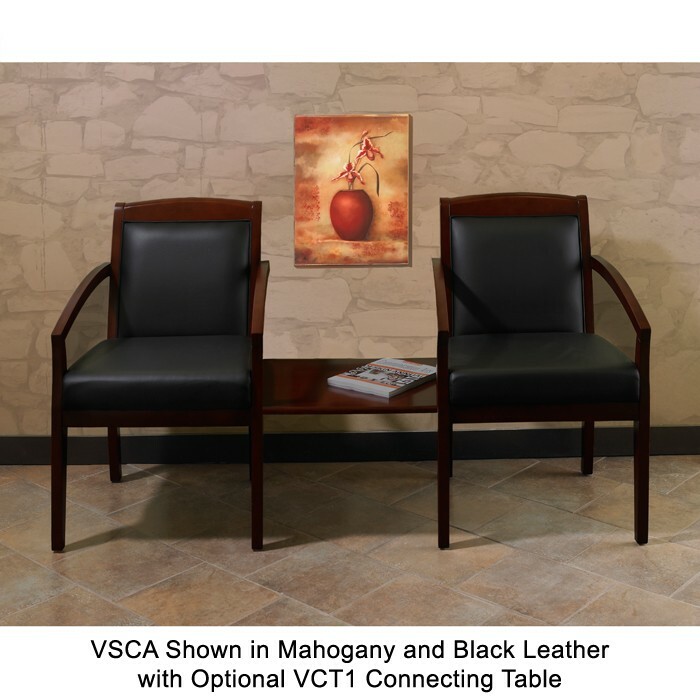 Genuine leather on all seated surfaces. 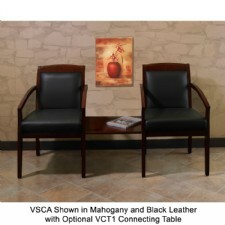 Enhanced seat suspension for lasting comfort. 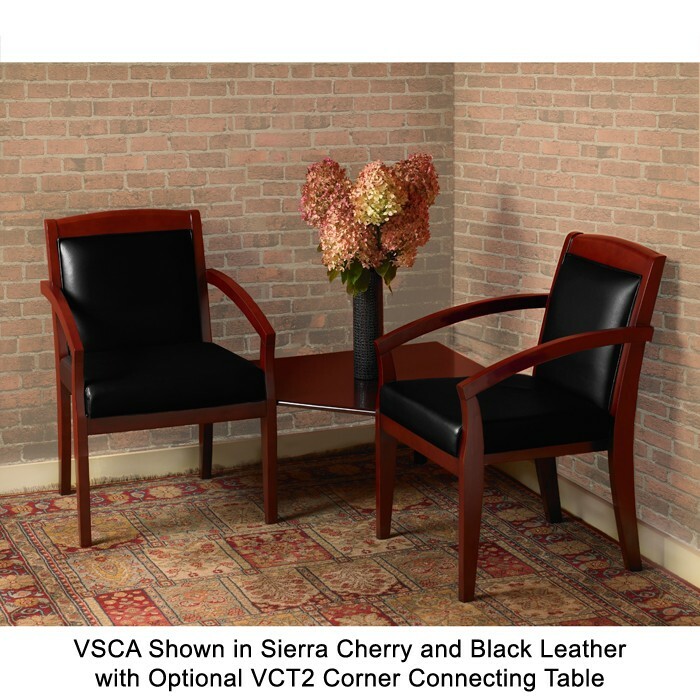 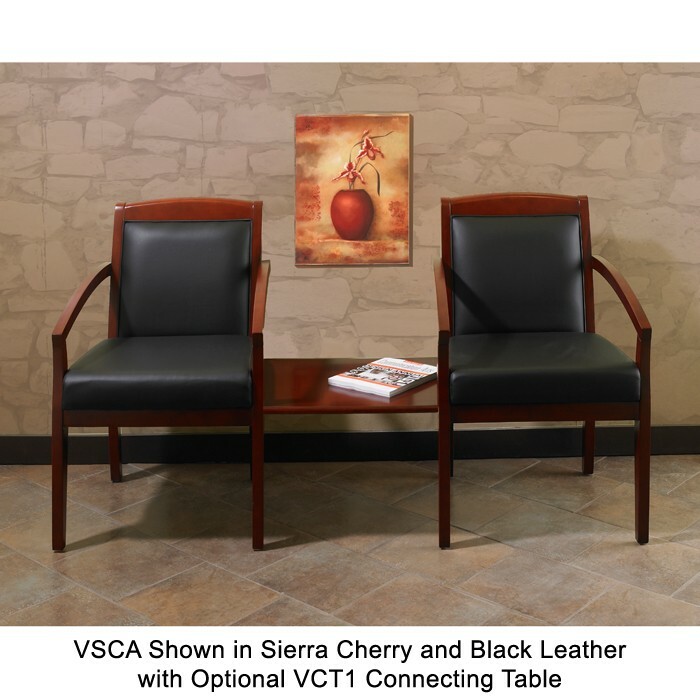 Available in Mahogany, Sierra Cherry and Golden Cherry Wood Finishes, all with Black Leather. 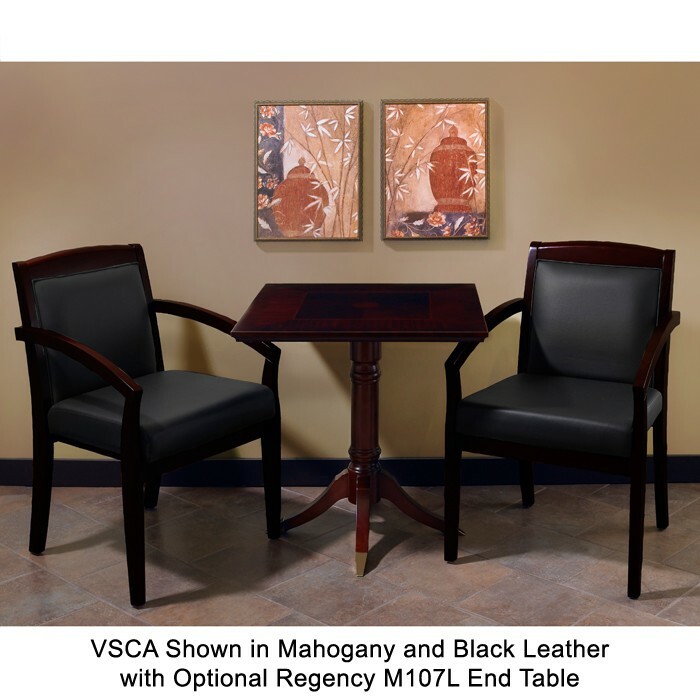 Stylish designs of solid wood and genuine leather beautify any private office or reception area. Fully assembled wood frame, simple seat attachment required. Enhanced seat suspension for lasting comfort. Sold, Packaged and shipped 2 per carton.